Our philosophy is to teach the basic individual skills of volleyball in-depth through a system of organized and broken down instruction. In addition, we will address the major components of team play through four on four and six on six drills, keeping in mind sportsmanship and positive attitudes. This camp is for high school aged girls who want to improve their level of play and get better at certain or all skills. We will focus and break down each skill and focus only on that skill in each session followed by six on six play. We are committed to improving each individual who attends this camp. 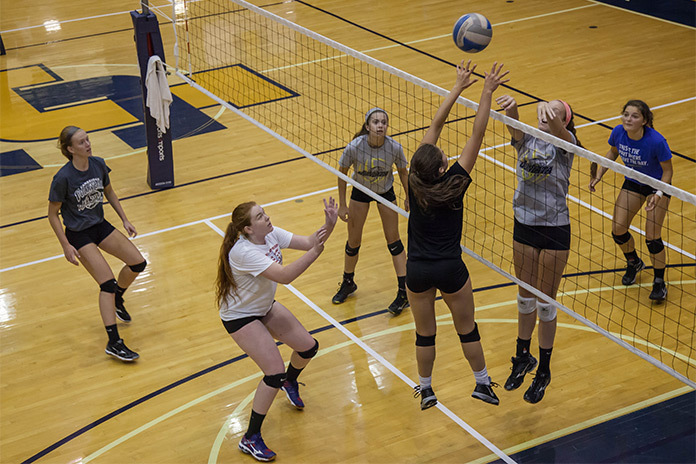 Registration: July 12th, 12:30-1:30 p.m.
For more information on the Women's Volleyball team and coaches, please visit the Juniata Athletics webpage!